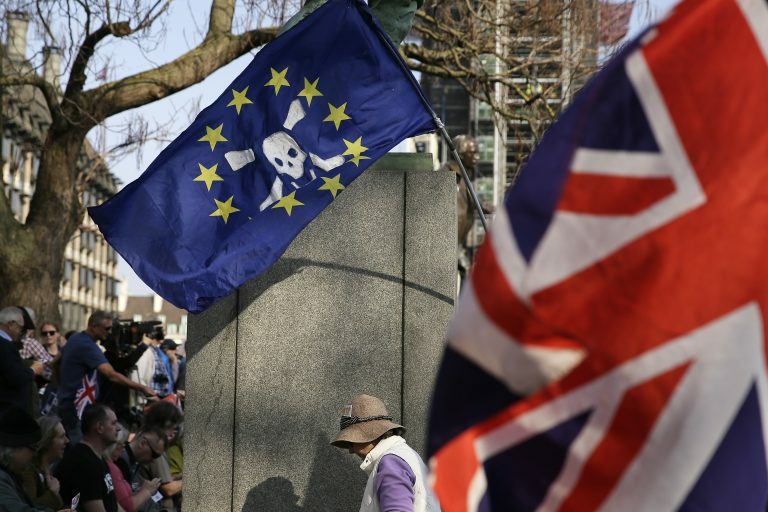 Cross-party talks to jumpstart plans for Brexit are expected to resume before the U.K.’s Friday deadline for leaving the European Union, and the opposition Labour Party is hopeful the country’s political impasse can be resolved, a party negotiator said Sunday. British Prime Minister Theresa May reluctantly reached out to Labour lawmakers Tuesday after Parliament voted down her divorce deal with the EU for the third time. The move infuriated pro-Brexit lawmakers in her Conservative Party, and three days of bargaining with the opposition didn’t yield a compromise agreement. The discussions’ “overall mood is quite a positive and hopeful one” despite the government’s “disappointing” failure to shift its stance on several issues, she said. “The sad thing is at the moment, we haven’t seen overall any real changes to the deal, but we are hopeful that will change in coming days, and we are willing to continue the talks as we know the government are,” Long-Bailey told the BBC. “We are currently waiting for the government to come back to us now to state whether they are prepared to move on any of their red lines,” she added. That left her with no choice but to reach out to the opposition, the prime minister said. 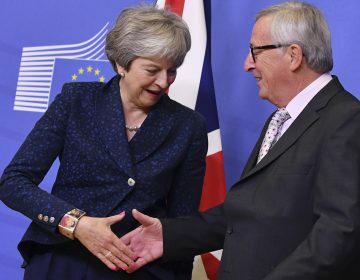 May warned that any Brexit could “slip through our fingers” unless a cross-party compromise was found. Labour’s key demand is for a customs union with the EU post-Brexit to protect the flow of goods. Hard-line Brexiteers vehemently oppose any proposal that would continue to bind the U.K. to EU tariff rules and restrict Britain’s ability to strike its own free trade deals around the world. Long-Bailey insisted that Labour wants to avoid a no-deal Brexit “in any situation” and was prepared to cancel Brexit rather than see Britain crash out of the EU with no agreement in place, an outcome expected to wreak havoc on businesses and disrupt travel throughout Europe. 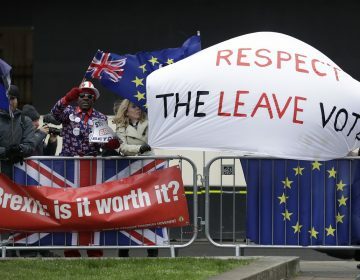 But Conservative lawmaker Andrea Leadsom said Sunday a no-deal scenario wouldn’t be “nearly as grim as many would advocate.” She said the governing party was working “through gritted teeth” with Labour to find a compromise, but its bottom line is Britain leaving the EU. Britain is scheduled to leave the European Union later this month, and no deal has been reached on how this will happen. What's next? European Union leaders on Sunday sealed a divorce deal with Britain. 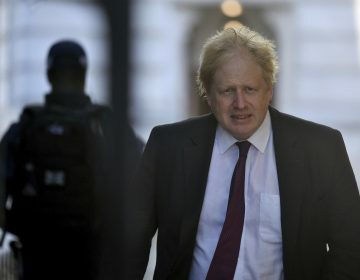 British Foreign Secretary Boris Johnson resigned Monday, adding to divisions over Brexit that threaten to tear apart Prime Minister Theresa May's government.